The facilities at Fairmont Scottsdale Princess are top-notch — from championship golf courses to award-winning restaurants — and the Well & Being Spa at Fairmont Scottsdale Princess is no exception. Many of the treatments make use of the Havasupai Waterfall (inspired by the oasis of waterfalls in the Grand Canyon) located on the spa’s first floor. 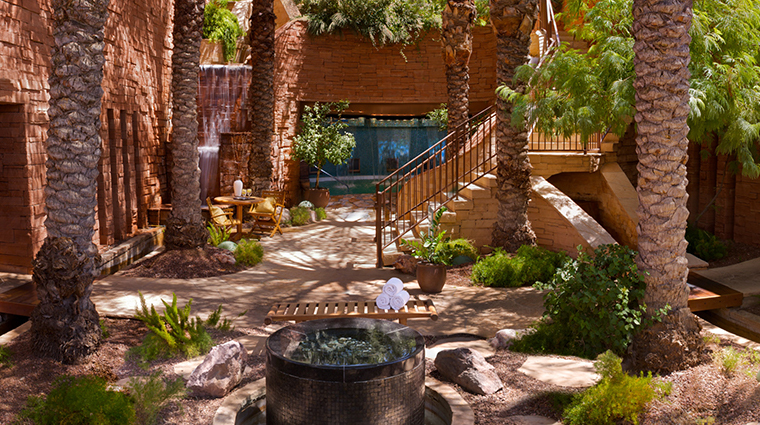 The Havasupai body oasis treatment combines warm eucalyptus and herbal baths with the healing power of the waterfalls. Other treatments also reflect local surroundings. The desert purification features a body mask of cornmeal, clay and oats. An Ayate cloth (made from the cactus plant) is then used to exfoliate skin. Or keep it simple with a facial or massage — and hit the beauty salon for a spa pedicure. 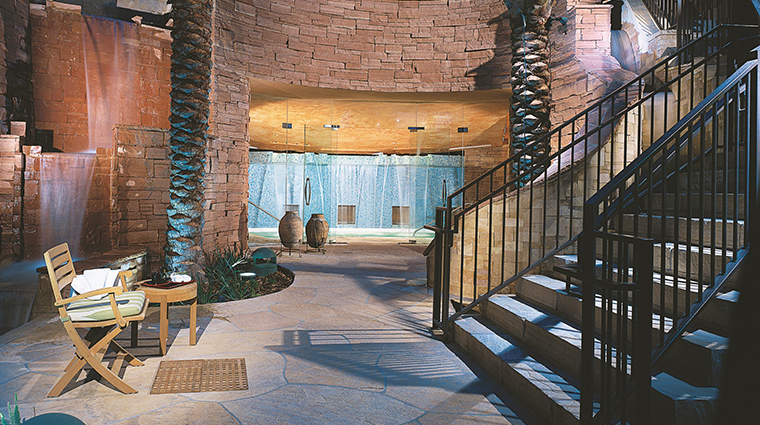 • Well & Being Spa at Fairmont Scottsdale Princess offers many different services that reflect its Southwest setting. • The spa is also dedicated to incorporating the elements — air, water, earth, wood and fire into its relaxing signature services. • If your hands and feet are overdue for a good buff and polish, there are three magnificent options to choose from. • The Four-Star spa doesn't offer online reservations, which means you will have to pick up the phone to book treatments like the hydrating Cashmere Spice Body Wrap, which uses scents like orange, clove and vanilla. 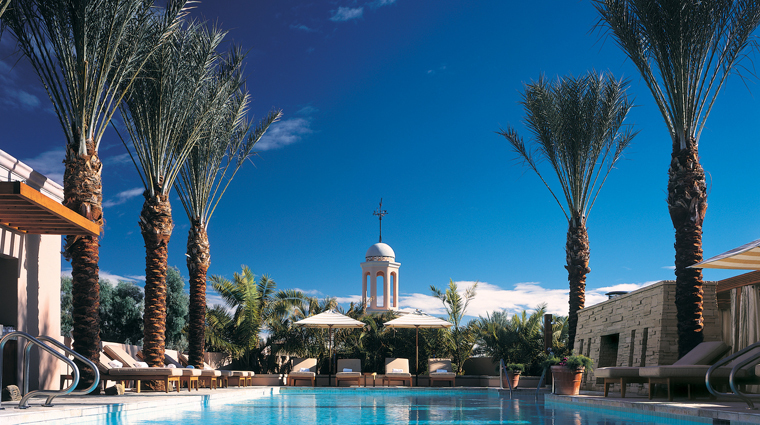 • The Scottsdale spa's treatment menus are quite comprehensive. 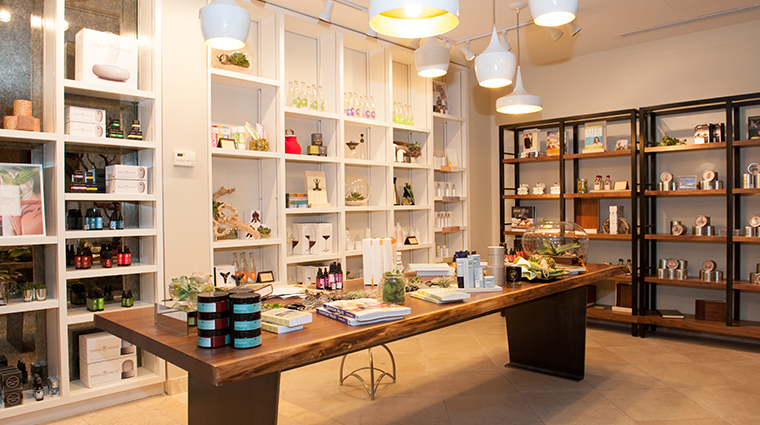 Ask one of the spa coordinators to help you choose the right service for your needs. • The staff at the Four-Star spa tries to make you feel as comfortable as possible, so shy types can opt to wear undergarments underneath their robes. One thing to note: A swimsuit is required in some of the bath and shower areas, so bring one along. • Spa packages, which generally include multiple treatments, require 24 hours advance notice. • Since the spa serves as a tranquil oasis, anything — or anyone — that might disturb the peace is frowned upon. However, if your child needs to get rid of her shaggy 'do, the salon will gladly arrange an appointment for hair, makeup or nail services. • The luxe signature manicure uses mineral salts and essential oils to soak and moisturize your hands and arms for 60 minutes, while the Southwest classic manicure employs fragrant rosemary oil and remains a local favorite. • For silky-soft skin and revitalized nails, dip your hands into a nourishing wax during the 60-minute paraffin manicure. • Feel regal with the Ultimate Princess Manicure, which includes a tri-crystal microderm refining scrub, orange blossom, vanilla and frankincense mask and vitamin serum.